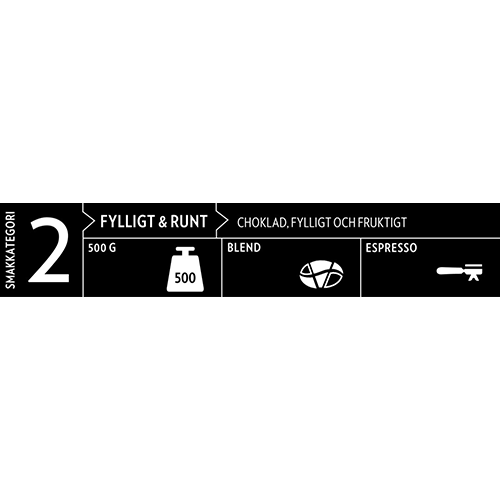 johan & nyström Espresso F.T.O coffee beans is something as rare as an espresso coffee that is both good and ethical. The coffee is a blend of Arabica beans from Ethiopia (regions Harrer and Yirgacheffe) and Indonesia (Gayoprovinsen in Sumatra). Together they create a full-bodied espresso with soft chocolate tones and a sweet fruitiness. The coffee beans are purchased from cooperatives certified by the FLO organization. 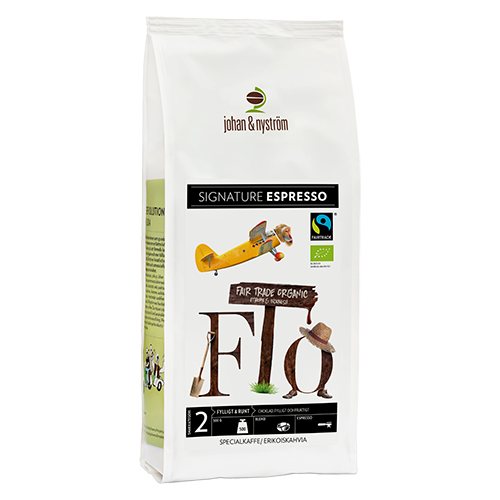 The farm is fully organic and fair trade labels ensures that coffee growers get adequately paid and supported to build a long term business. The cooperative cultivates coffee on extremely high altitudes (1900-2200 meters). 972 farmers are members of the cooperative (every family has an average of 7 members). The cooperative is located near the town of Yirgacheffe in the region Gedeo.